Debido a restricciones por parte del fabricante no podemos enviarle este artículo. Haglofs products to the European Union. "Nice mat finish, good fit, not too baggy and not too tight to restrict movement. Would like to have side zips, but for the purpose I use them for no need"
The Haglofs L.I.M Proof Running Pants are engineered with a 40 Denier waterproof PROOF fabric, which provides freedom of movement as well as being constructed from recycled materials. The fabric is also breathable, meaning that although the fabric is waterproof, it allows you to remain cool, dry and comfortable during intense periods of exercise. 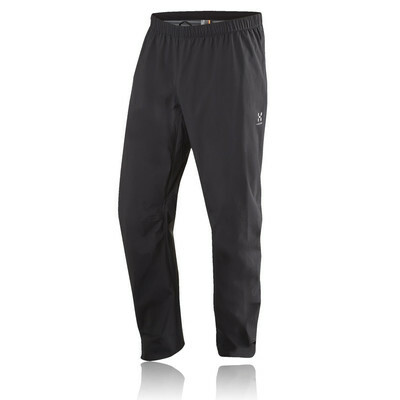 The pants are also designed with a variety of comfort features. The elasticated lower legs are tapered to reduce the amount of material around your legs, enabling you to move around more efficiently. The knees and seat are articulated, providing a wider range of motion. Part of the Less Is More range, a trekking concept consisting of lightweight products with a clean design for fast and light hiking. 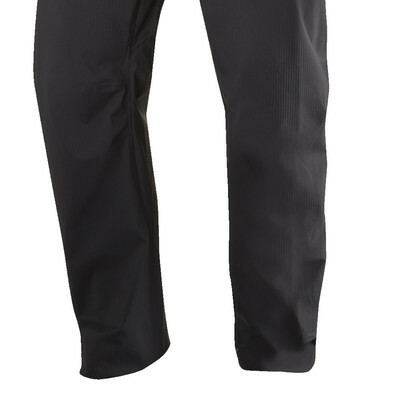 Weft Stretch Waterproof/Breathable 40D 2.5 Layer PROOF Fabric - A recycled material which provides full waterproof protection, freedom of movement, and breathability. PFOA-Free DWR Treated Surfaces - Keeps you dry in showery conditions. Elasticated Tapered Lower Leg - To avoid excess material and for perfect fit. Articulated Knees and Seat - For freedom of movement. Elasticated Waist - Provides a comfortable and secure fit.